Come in every Friday and enter the draw by purchasing a ticket for 1,000c. At 8:30PM we’ll draw a winning ticket and who ever is holding that matching number gets to pick a card from the existing deck of cards. 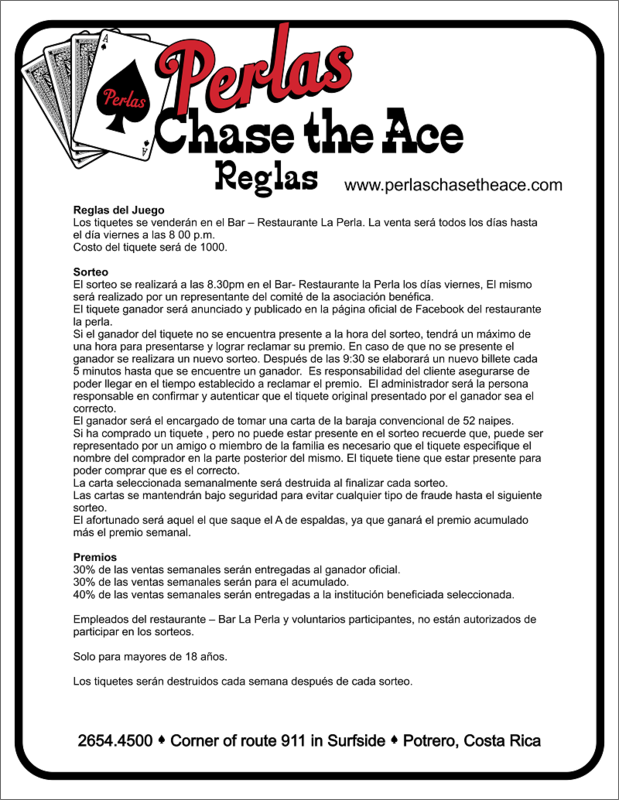 If you draw the Ace of Spades you win whatever has been accumulated in the ‘Ace Jackpot’! If you don’t draw the Ace of Spades, 30% of the pot is added to the accumulating ‘Ace Jackpot’ for the next week. 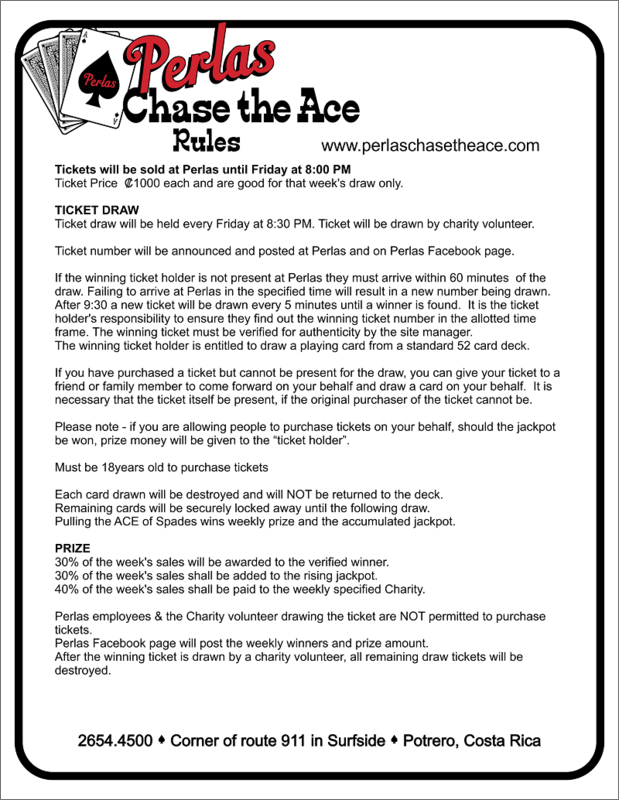 Winning ticket holder gets 30% from “Draw Jackpot.” 40% of the of the weekly jackpot goes to the selected local charity and 30% will go back into the Jackpot of the Ace of Spades is not chosen and added to the following weeks drawings. Tickets on Sale Now at Perlas for 1000c until Friday 8:00PM! Draw every Friday at 8:30 PM. Winning ticket number will be posted on our Facebook page! You must be present to win. You have 1 hour after draw! Deadline 9:30!